Please select options for Delta Xenon HALO 7 in. Headlight Kit (07-18 Jeep Wrangler JK) at the top of this page. Superior Lighting. Update the look and lighting of your JK with the Delta Xenon HALO 7 Inch Headlight Kit. You'll gain hyper white lighting for the trail or road with these DOT compliant head lamps and easy to replace H4 60/55 Watt Xenon bulbs. Additionally each lamp features an integrated LED halo for extreme styling and intense lighting. Each kit includes an adapter to the factory wiring harness to make installation simple and easy. Durable Construction. These Delta head lights feature a lead crystal prismatic lens for superior clarity and lighting. Each housing is of metal construction to ensure proper performance under any conditions day or night. Kit Contents. This kit includes two light housings, two H4 Xenon bulbs and two wiring adapters for a complete installation and lighting upgrade. Application. The Delta Xenon HALO 7 Inch Headlight Kit is designed for installation on all 2007-2018 Jeep Wrangler JK and JK Unlimited models. Does the halo turn on with the vehicle and act essentially as a dope looking daytime running light? And the xenon turns on when you actually turn the headlights on? Hello, on the Delta Xenon HALO 7 in. Headlight Kit (07-17 Wrangler JK) you can have the Halo as a Daytime Running Light and the Xenon would work as your regular low beam and high beam. Item is listed as being DOT compliant. No known issues exist with passing inspection. What is the warrenty on these lights? My drivers side 1/4 halo went out? This is the second replacement for the same reason. Delta Tech offers a 5 year limited warranty on all of their products, like the Delta Xenon HALO 7 in. Headlight Kit. Part of their warranty goes require contacting them directly though. 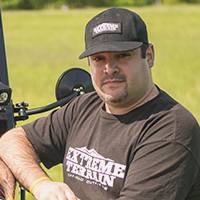 If you need any assistance in this matter please contact us directly, our contact information can be found here: https://www.extremeterrain.com/contact.html. Does the warranty cover the halo ring or bulb going out? The Delta Xenon HALO 7 in. Headlight Kit will have a warranty that covers the housing and halo. This will not cover the main headlight bulb as this is considered a consumable item. The Delta Xenon HALO 7 in. Headlight Kit does not have an easily replaceable Halo, however these are still well within the warranty period. Please contact our Customer Service Department so that we may assist you in getting this resolved. Hello! These lights will work on a 2013 Wrangler, and you will not have to change out any fuses! The kit includes 2 headlights. I had to use copper grease to get a good connection. The LEDs are starting to burn out and the headlights are not very bright. Ive had lots of loose connection issues... finally resolved by liberal use of copper grease. I’ve had them for a year and a half and one of the halos is already out. I will check with Delta to see about replacing as they have a 5 year warranty. Headlights give good illumination. Instructions for the halo wiring seemed liked they were photographed and unreadable. No good online information. Avoid these headlights. These are a piece of junk. Purchased June 2016, returned first order since one halo didn't work. Extreme Terrain (ET) was great. Replace immediately. A year later...halo failed again. Contacted Delta as instructed by ET. Delta's solution, purchase an "improved" product of theirs. These are flawed headlights. Looks great, easy to install. I wired LED ring to ignition so provided daytime running lights. Now just a little more than a year later, LED's starting to fail. LED ring is made of several smaller diodes, now have half circle on one headlight and missing dots on the other. I bought these in summer of 2015 for my 2015 sport and had them professionally installed. Halos burnt out in less than a year. Spring of 2016 ET replaced with new ones ASAP. Now in the winter of 2017 one side of the halo on drivers side is burnt out. I can deal with that for now. But...as of last night I noticed the drivers side headlight is completely out. I'd like to believe that these lights should last more than 18 months. But no I was wrong. Not worth the money I paid plus installation cost. One Halo ring stopped working. Only had these working for a few days before the left side one burned out. The right side one still works. Halo failed. Water inside sealed lens. 7 months old. Save your money. I chose this light for look and I love it. However this will be the second time I return a pair of these lights. The bulbs in each pair have had to be replaced! This turned out not to be a good buy after all! Looks great but I could not install myself I had to take them up to a shop, they said it was a little difficult for them as well but overall they look great. they're the halo is the only part about this headlight that i like. And even the Halo is kinda bad. Ive had mine for about 4 months and the halo is starting to lose LEDs. the headlight itself is super dim and has a horrible cutoff line. First set the LEDs started going out, replacement set same thing. Quality issues with the LEDs. The problem with returning headlights is that they make you take them out (and reinstall OEM, if you still have them) to return. They are not much brighter than stock, but do look great when functioning properly. On my second set of these headlights in under 2 years. First set got moisture inside the lights within a few months. Extreme terrain exchanged them for me. I've had my second set for 13 months now and the halo rings leds are burning out on both lights. I contacted extreme terrain again and I was told to contact the seller because the lights are no longer under warranty. I contacted the seller and I was told to send them my lights so they can inspect them and provide me with an estimate to fix them. No thanks. For now I'm disconnecting the power to the halos from the fuse box and using the lights without the halos. I'll eventually buy different Headlights. Product looked great for about 9 months but then i started having bulb failure around the halo. Also moisture seeped in an caused for more problems. I bought these lights in March and when first installed they rocked out. Then the top 1/3 of the halo burned out on the drivers side. I called customer service and was told I have to ship my lights back to get a replacement pair. I get it and included pictures but other than buying another pair of these ahead of time and sending them back they offered nothing else to solve this. I wanted to upgrade and I would pay the difference as I didn't want these back and was told they couldn't do that. So I am held hostage and I will go buy another set and hopefully get my money back for the defective ones. I love my other experiences with XT but this one sours me.